About Anne N. Message Anne N.
Anne was great! She did a great job on giving us a history lesson on what we were experiencing and seeing. All the locations we visited made for a great day. Very knowledgeable. Anne covered a lot of ground (literally). We had an opportunity to see the Maori culture, wild New Zealand and some more adventurous adrenaline pastimes. Top notch experience. TOUR GUIDE RESPONSE: Hi Kathleen, Thank you for your review, much appreciated and loved showing you around, all the best. Anne was on time, very helpfull with some plans we had that day. A great person. Anne was incredibly knowledgeable about the area of Tauranga and Rotorua. We had a delightful day with Anne on our private tour and would highly recommend her services to anyone visiting the area. Although we had pre-planned the itinerary, Anne enhanced our day with additional stops (ie kiwi farm)! Such great memories! Ann Norton was an excellent guide, both informative and personable. Her explanation of the history of the sites we visited were thorough and interesting. We recommend her highly and thank her for a wonderful experience in Tauranga! This was one of the most enjoyable and informative tours during our visit to New Zealand, Anne showed us all about the Kiwi fruit orchards. The best part was the show of the Maori culture. It included a visit to the school for carving of wood, stone and bones and the weaving of Maori clothing and fabric. The Maori also performed their typical dances. We also saw the hot springs and geysers and other geothermal sites. Overall, our party of 5 had a wonderful experience. TOUR GUIDE RESPONSE: Thank you Elmer, it was a pleasure to have you and your party on tour. TOUR GUIDE RESPONSE: Thank you Barbara, loved showing your group around, great sense of humour, it was a pleasure. Anne was a great host. She introduced us to Kiwis (the fruit), the sights of Rotorua area including geysers and other thermal features. 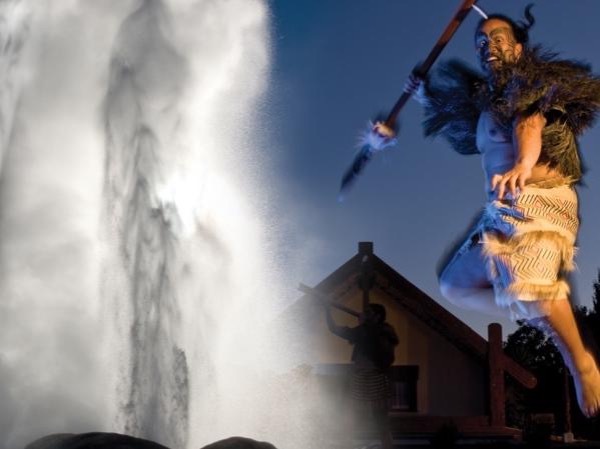 The tour include admission to a Maori cultural center. Although there were a lot of people at the Center, she made sure that we made it to the spots we were supposed to go. We love to take pictures and she provided opportunities for us to take pictures. She got us back to the cruise ship with plenty of time to spare. TOUR GUIDE RESPONSE: Thank you for taking the time to review the tour, it is appreciated. Pleased you enjoy the kiwi fruit even more now :). Anne was delightful - very flexible from the beginning, and really tailored the tour to what we wanted to do (for example, going to the gondola to do a couple of luge rides, which we hadn't had time to do the day before). She was knowledgeable, friendly, did great with some difficult driving, was interesting to talk to, and had a good sense of humor. Overall was well worth the money, and was a great way to see a large portion of the North Island and its sites in a short period of time. Thanks, Anne! Anne took over our tour from a guide who had to cancel. She was wonderful. We had great fun at Hobbiton, and learned much about Maori history and culture at Matamata. We even learned the Haka! We would book with Anne again. Kids really enjoyed the Alpaca farm. We enjoyed the gorgeous scenery. Great day! TOUR GUIDE RESPONSE: Thank you for taking the time to put through a review, much appreciated and I certainly enjoyed being able to show our region to you and your family. Anne was delight to spend the day with. It was a rainy day but she was well prepared with umbrellas and kept us on schedule. The scenery included the mountainous terrain with green vegetation contrasted to the hot pots and springs. My wife and I would recommend Anne for your private tour needs. Transportation was a very comfortable and roomy Mercedes. Our family of 7 had a wonderful experience with Anne -- she was waiting for us as arranged and spent the entire day driving us to numerous sights, while giving us a very descriptive narrative of everything along the way . . . and answering all of our questions as well. We were all MORE than pleased with her choice of sights, recommendation for lunch, and very importantly, her driving skills too -- if you are looking for a recommendation to book Anne, you have our 5 Star rating!!!! Ann was a fantastic tour guide. Her van was beautiful. She took us to many places and was really off-the-top cordial. She also adapted her itinerary to include other things we wanted to see. I would definitely recommend her to anyone going to her area!!! Anne is a real gem! She was extremely knowledgeable about Tauranga, easy to get along with, and we had a wonderful day with her. She had the timing for the day planned perfectly, and we got to see everything we wanted to. And her car--a brand new Mercedes--was very comfortable! I highly recommend Anne and this tour in particular--Hobbiton is well worth seeing. We had Anne's husband. We was extremely knowledgable , courteous and nice. His van was excellent . We had a great time.